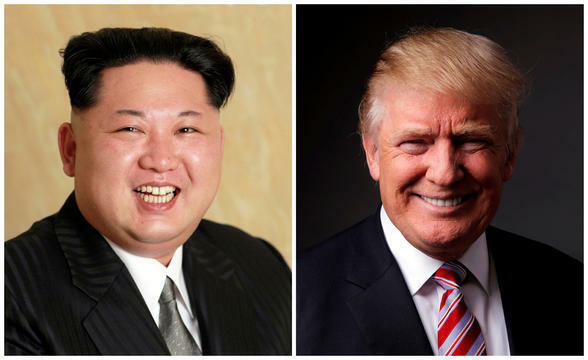 Trump: "Good chance" N. Korean leader will do "what is right"
President Trump says he's looking forward to meeting with North Korean leader Kim Jong Un amid nuclear tensions between the two nations. Mr. Trump tweeted early Wednesday of his optimism that the dictator would keep up his end of the bargain of halting his nuclear weapon program. "For years and through many administrations, everyone said that peace and denuclearization of the Korean Peninsula was not even a small possibility. Now there is a good chance Kim Jong Un will do what is right for his people and for humanity," he wrote. After the Korean leader met with Chinese President Xi Jinping in Beijing this week, Mr. Trump tweeted that he received a message from Xi that his meeting with Kim "went very well and that Kim looks forward to his meeting with me." The trip marked the first known time Kim has left North Korea since taking power in 2011 and the first face-to-face meeting between Xi and Kim. China's state-run Xinhua news agency quoted Kim as saying, "We're determined to turn South-North relationship into a cooperative one and holding a meeting between two leaders. We're willing to hold dialogues with the U.S. and hold meetings between two leaders. If the South and the U.S. reacts with kindness, denuclearization could be solved." White House Press Secretary Sarah Huckabee Sanders said Tuesday the White House had been contacted by the Chinese government about the meeting. Mr. Trump conceded, however, that even with major milestones in the U.S.-North Korea relationship, the administration's maximum pressure campaign goes on undeterred and that sanctions "must be maintained at all cost." Talks between the two leaders are supposed to take place by May, but a time and place have yet to be decided.